Romantic novelist Jackie Collins claims on Gaydar Radio that White Collar hunk Matt Bomer lost the role of Superman because of his sexuality. Romantic novelist Jackie Collins claims US actor Matt Bomer was refused the role of Superman in the upcoming Man of Steel movie because he is gay. Collins says it's 'tremendously hard' for Hollywood actors to come out and cites Matt Bomer as an example of how a star's sexuality can adversely affect his or her career. 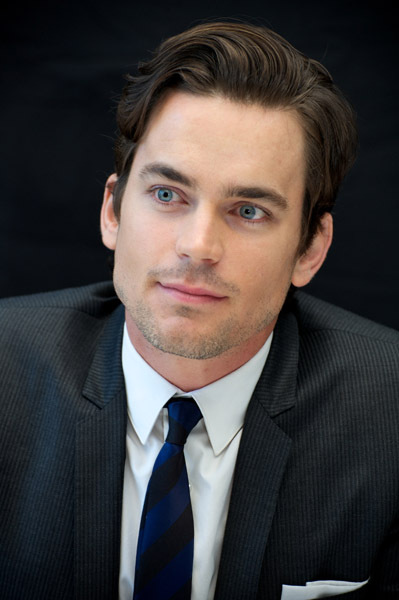 'Matt Bomer, who is the most gorgeous looking guy and the star of White Collar, he was up for the role of Superman,' she said during an interview with Gaydar Radio. 'He had not come out of the closet but people in the know knew he was gay. His audition tape went in and he called up the agent. Someone didn’t like him and told them he was gay. They said, “No, no, we can’t cast you.” The reason he didn’t get cast was because he was gay. 'I think it should change but there are women out there who want to worship somebody. If Justin Bieber said he was gay, he’d lose all his little girl fans.